Download the expedition fact sheet (pdf, 2.1 MB). 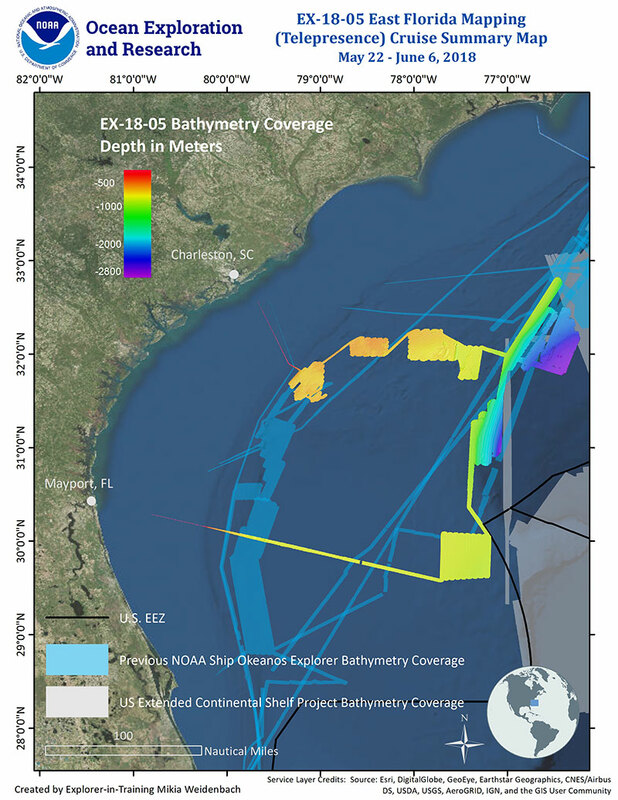 From May 22 through July 2, 2018, NOAA and partners will conduct a two-part, telepresence-enabled ocean exploration expedition on NOAA Ship Okeanos Explorer to collect critical baseline information about unknown and poorly understood deepwater areas of the Southeastern United States. 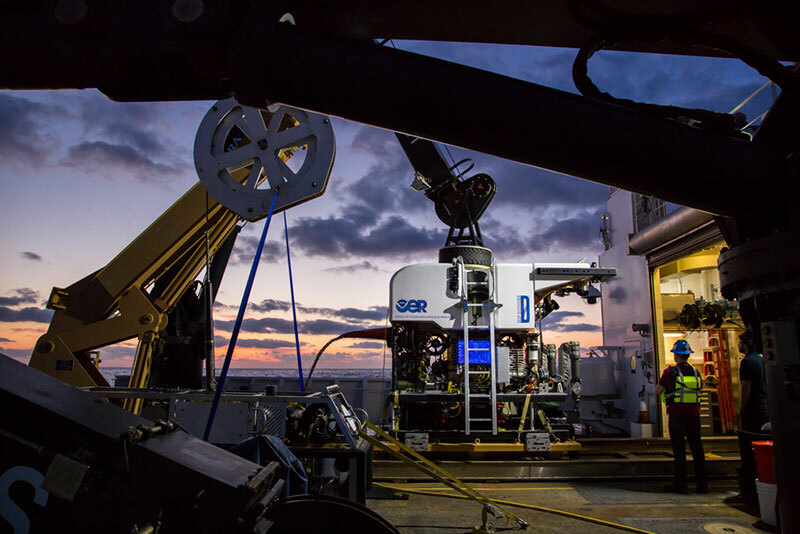 During the Windows to the Deep 2018: Exploration of the Southeast U.S. Continental Margin expedition, our at-sea and shore-based science teams will work together to map the seafloor and make some of the first deepwater observations in these areas. From May 22 - June 6, 2018, NOAA Ship Okeanos Explorer conducted mapping operations 24 hours per day using the ship's state-of-the-art suite of sonars focused on mapping the seafloor, the water column, and the sub-seafloor. 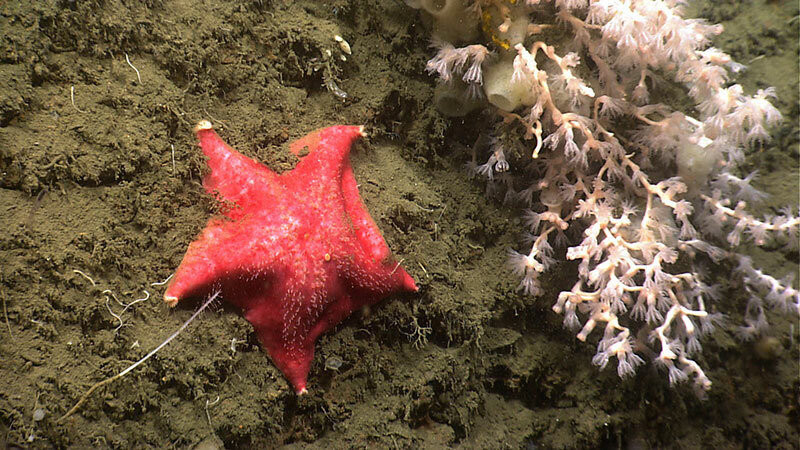 This was the first part of the two-part Windows to the Deep 2018: Exploration of the Southeast U.S. Continental Margin expedition intended to increase our understanding of the deep-sea environment along the southeast United States. 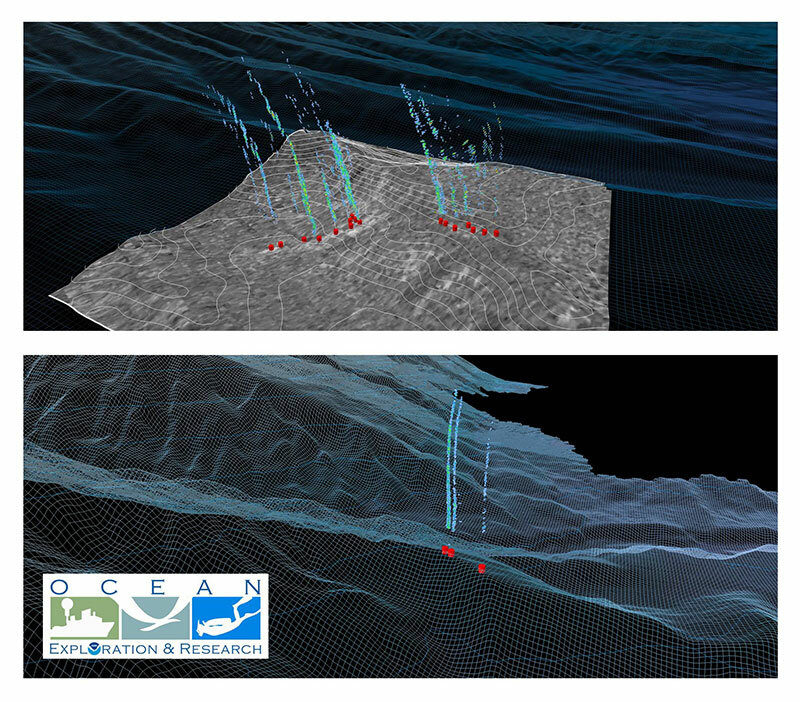 During the Windows to the Deep 2018: Exploration of the Southeast U.S. Continental Margin expedition, the mission team plans to visit two potential cold seep sites in or near canyons off the North Carolina coast. Cold seeps occur where highly saline and hydrocarbon-rich fluids, such as methane and sulfides, escape from the seafloor at close to ambient temperatures. Submarine canyons are found throughout the world, representing complex seafloor features that link the upper continental shelf to the abyssal plain. They punctuate the margin by incising the shelf, creating scenic seascapes reminiscent of their terrestrial counterparts. 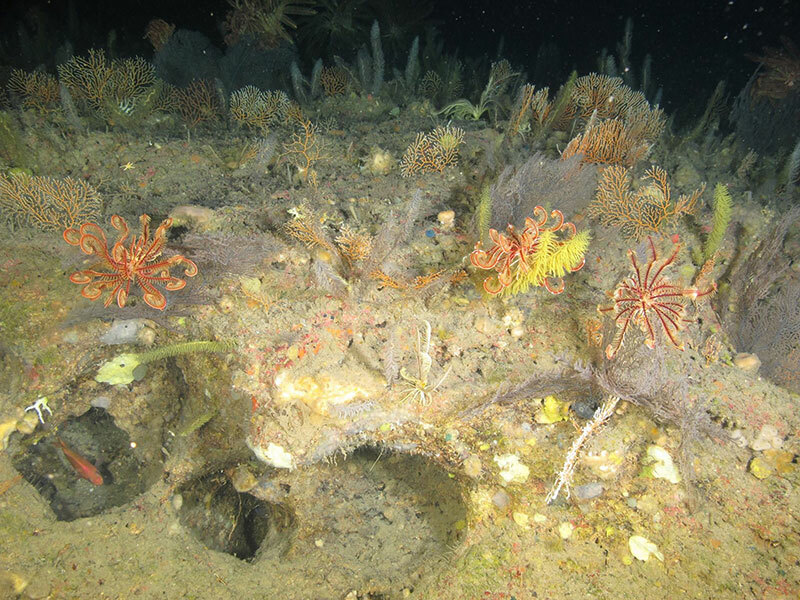 In 2016, NOAA launched a new four-year initiative to study deep-sea coral and sponge ecosystems across the Southeast United States, a region that includes the U.S. federal waters of the Gulf of Mexico, South Atlantic Bight, and Caribbean Sea. This multidisciplinary effort, known as the Southeast Deep Coral Initiative (SEDCI), is led by a NOAA team from multiple line offices that work in close collaboration with partners from federal and academic institutions. Funding for SEDCI activities is provided primarily by NOAA through the Deep Sea Coral Research and Technology Program.